When it comes to the theory of the Higgs boson, British physicist Peter Higgs gets all the love. But that’s not fair, says Carl Hagen, arguing that he and four other scientists deserve just as much credit. 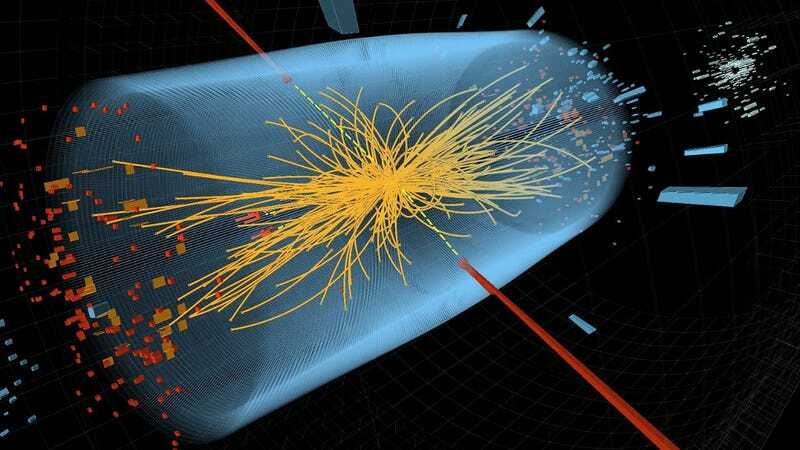 The time has come, he says, to officially rename the so-called God particle. We've covered the battle over what to call the Higgs boson before, but here's a quick recap: Back in 1964, Peter Higgs developed a theory of how other sub-atomic particles came to have substance, or mass. But five other researchers independently came to the same conclusion and made key contributions to the idea — a group of physicists that include Francois Englert, Gerald Guralnik, Tom Kibble, Robert Brout, and the University of Rochester’s Carl Hagen. Last year, when the discovery of the Higgs particle was announced, five of the scientists gathered together at a press conference — but it was Higgs who received the huge round of applause from the audience. Fed up — and in consideration of a potential Nobel Prize — Hagen says enough is enough; it’s time to acknowledge the work of others. "Peter Higgs was treated as something of a rock star and the rest of us were barely recognised by most of the audience. It was clear that Higgs was the dominant name because of the fact his name has become associated with the boson," he recently told BBC World News. "To single out one individual marginalises the contribution of others involved in the work. Although I did not start this campaign to change the name, I welcome it." It’s not immediately clear how the name could be changed, however. Particles tend to be named after (or by) the person who predicted them. Weirdly, only three scientists can be awarded a Nobel Prize for a given discovery or breakthrough. Hagen would like to see all six get the award (presuming it happens), along with the team of scientists and engineers working at the Large Hadron Collider. Images: Texas A&M University, Paul Rincon via BBC.